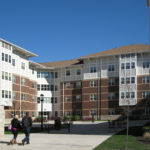 Indiana University of Pennsylvania replaced its outmoded 1970s-style high rise dormitories with low-rise residential learning communities. 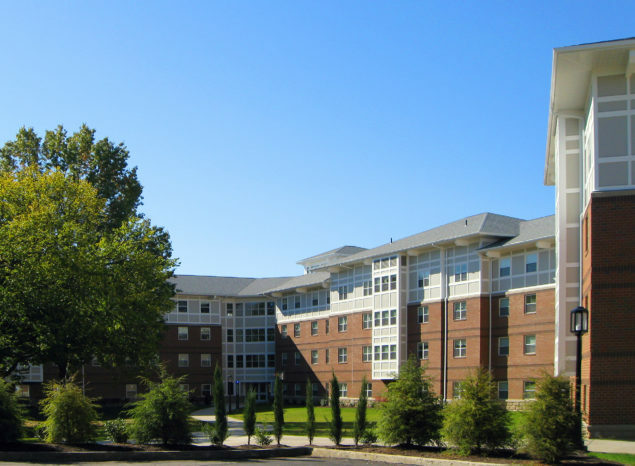 This project is LEED certified and is one of the largest “green” housing facilities in the world. 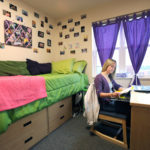 The second phase includes three buildings with 1,102 beds. 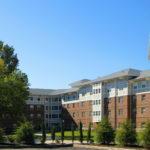 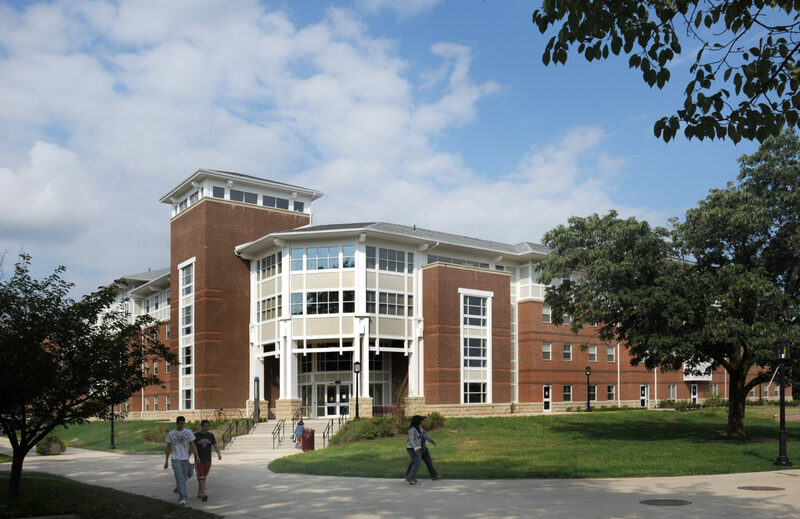 It features lounge, recreational, and study space, as well as wellness center, offices for the Residence Life Department, and offices for the Student Housing Development Department. 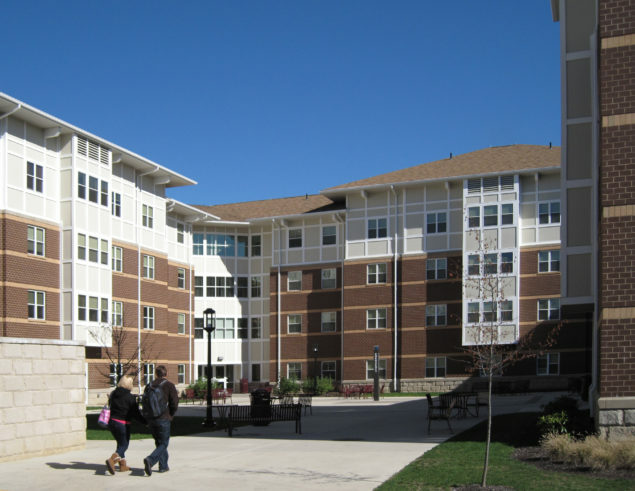 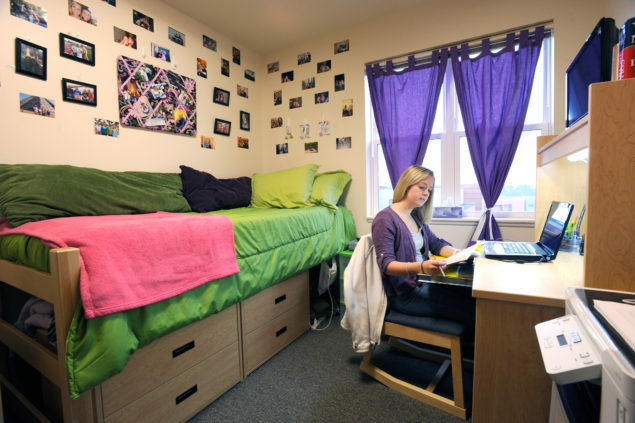 As a result of its responsive planning, over 70% of freshmen are participating in residential learning communities. 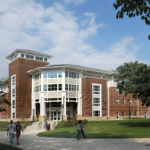 This second phase was completed in August 2008.